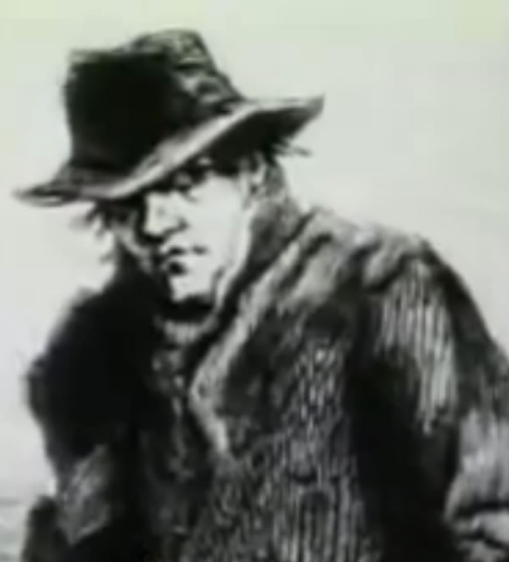 While I was writing 1888, a German sailor by the name of Carl Feigenbaum was gaining traction in popular culture as a potential Ripper suspect. I had read Trevor Marriott's book "Jack the Ripper: The 21st Century Investigation," and as happens almost every time I finish a compelling Ripper book, I am convinced that the killer has been caught, but then in the days and weeks that follow, I am less certain. The same thing happened with me, James Maybrick and "The Diary of Jack the Ripper," - a text now so ludicrously, obviously, embarrassingly forged that I can only feel ashamed of myself. Nevertheless, Marriott was not the first to suggest Feigenbaum, who had been executed in New York for murdering a woman in 1896 and my book was to feature as many suspects in one form or another, so the mysterious seaman was given a few cameos as a dangerous figure with a hair-pulling fetish, in hopes that those closely following would find another suspect to cross off the list. Another suspect who was to have a similar treatment was Aaron Kosminski, a name known to all ripperologists, despite there not really being a shred of evidence against him. Initially, Kosminski's involvement in the book was to be a brief sighting, whereupon Gina, waking to the sounds of his screaming one morning, decides to try to talk to him, rather than shoo him away as she usually did. During their brief chat, Kosminski would begin masturbating in front of her and the disgusted young woman would volley a barrage of abuse at him. The chapter wasn't working very well, especially as no matter how I wrote it, Gina was coming across as incredibly cruel for verbally abusing a mentally ill man. I began thinking about the two of them and how in many ways they were very similar. Neither had any family to speak of, both were drifting through Whitechapel with nothing to hold them down and of course, both were close enough in age that a much more interesting dynamic would be for the two of them to become friends. We do know that he was born in Klodawa, Poland, on the 11th of September, 1865 and that his father was a tailor. He and his family emigrated to London while Kosminski Jnr was 17, whereupon, he began work as a barber in Whitechapel. Sometime around 1885, at the age of 20, Kosminski began suffering severe mental problems, which took the form of hallucinations and extreme paranoia. In my novel, it is revealed that this insanity came on in an instant and did not let up, however, it is more likely that his illness took a cyclical course where he would sometimes be near well, othertimes, he would have to be institutionalised. After rewriting his initial chapter, and completing an outline for a fuller story arc for him. My plan was that I would attempt to recast Kosminski as a madman, but a gentle one. A distant, somewhat alarming figure who many people feared but in truth, was a sympathetic gentleman who was as kind to animals as he was other people and was desperately in need of a friend to save him from his fits of madness. That said, Kosminski retains his love of public masturbation, as Gina discovers the first time she meets him, (only this time to her bemusement, rather than her horror.) When Kosminski was admitted to Colney Hatch Insane Asylum in 1891, it was for the vice of "self abuse" that had him locked away for three years. In my retelling of his character, Kosminski is very much an adult with the mind of a child. He has the same urges and desires, but his mind is not sophisticated enough to understand the difference between public and private. In fact, he does not fully understand the concept of personhood at all, often struggling to remember that other people are not him, or that the world around him is not an extension of himself. Poor Aaron Kosminski was only 54 when he died in Leavesden Asylum. A medical check before his death had his weight at only 44 kilograms (96 pounds.) By his later years he had refused all food other than that he could find himself, having grown completely paranoid about taking food from others. It is quite possible that he starved himself to death. Kosminski's notoriety comes thanks to an 1894 memorandum written by chief constable Melville McNaughten, in which a number of contemporary suspects are named. "Kosminski" is listed, although no first name is given. He is suggested again in 1910 in the memoirs of Robert Anderson, but again, no first name is given but it is stated that Kosminski was institutionalised, and it was not until almost 100 years after the autumn of terror that ripperologist Martin Fido searched the asylum records to discover the Aaron Kosminski who is now so central to the Jack the Ripper mythology. Whether the Kosminski named in 1894 was the same Aaron Kosminski discover in 1987, will never be known. There was certainly a violent patient who had been sent to an asylum at about the same time who went by the name of "Kaminsky" for whom McNaughten could have been mistaking him, as there is no evidence that Aaron Kosminski was dangerous to anyone besides himself. Whoever he was, within the pages of 1888, my readers will find a much kinder, compassionate portrayal of this elusive man and one which I believe is likely closest to the truth.